Do you not know how to hide message on iPhone? Do you want to hide your private conversation of iMessage of your iPhone? Do you want to hide message on your iPhone from your girlfriend? Here is the real way to hide conversion of your iPhone. Messaging is the best part of any device but it is very nice to use in iPhone. iPhone has a very interesting app that is iMessage which gave us best experience of conversation through messaging but sometimes we want to hide our conversation or message from other people who know out mobile passcode. If you don’t want to share your conversation with anyone and also you don’t want to delete it. Don’t worry, you can hide your message of iMessage because iPhone has many function that can help you to do so. You can hide your messages, lock your conversation and also turn off message preview by enabling iPhone some functions. You can also do it by installing many locking apps in your iPhone or iPad. First of all, we will know how to hide message by installing apps and then we will know how to hide message on iPhone by setting up function of iPhone. You can also hide your contact of your iPhone same way. This article will do for every model of iPhone as iPhone 7, iPhone 8, iPhone 6 or iPhone X. Let’s know how to keep secretly our message in our iPhone. Read Also: iMessage is not working How to fix. There are many apps available that can hide your message and many other functions of your iPhone but some of them work well. I have mentioned only some the best apps that help to message on iPhone. If you want to hide your calls and message of iMessage on iPhone, you can download coverme private calls & secret typing apps in iPhone. It is very help app to secure your message and calls and it will also use your touch Id for passcode so you don’t have to worry about that any one try to open it. It has a quality feature and it will hide or lock your messages and calls. It will also allow you to message secretly and make you anonymous and no one can know your number. So download this app to hide messages and calls on iPhone. This is another best app that help you to make private your messages and calls. It will allows to lock your message with a passcode. It will never allow any one to know your private message. It also has ability to hide many other functions besides hiding messages of your iPhone as – facetime calls, receive files, send files and calls. So you can use this app to hide your conversation or messages. Read Also: iPhone touch screen is not working how to fix it. Any talk is also the best app for secure messaging and calling. If you want to hide your messaging from your family members and friends, just install and download this app in your iPhone. It will allow you to hide your message or conversation on iPhone. So if you want to need hide your iPhone’s message and calls, just download one of the given apps and enjoy private conversation with your friend. You can also hide message on iPhone without using any app because iPhone has some features by which you can hide your conversation. If you don’t want to use any app to hide your conversation, just follow the given steps in your iPhone and know how to hide message on iPhone without using any app. Read Also: How to fix iPhone flickering screen. It is one of the easiest ways to hide message on iPhone. To hide message of your iPhone, just turn off iMessage of your iPhone. It will stop to pop up message on your iPhone screen when it delivered on your iPhone. It is not like apps but still it works. To hide message, just follow the given steps in your iPhone. If you once turn off message preview in your iPhone, no one can see sms preview in your iPhone. Just follow the steps. First of all, go to setting. Now tap on the Notification. Now you have to tap on the notification and disable it. You don’t want to allow any one know about that you got a message, go to sound and silent the message tone. Now if you don’t to allow any one, just silent it. You can disable all notifications if you want by tapping on allow notification. Now you have disabled the message notification and now no one will able to know if any message is coming to your iPhone or not. You can also hide your conversation by saving your whole conversation in your computer and delete in from your iPhone. This another way to hide message on iPhone. Now you have known how to hide message on iPhone. 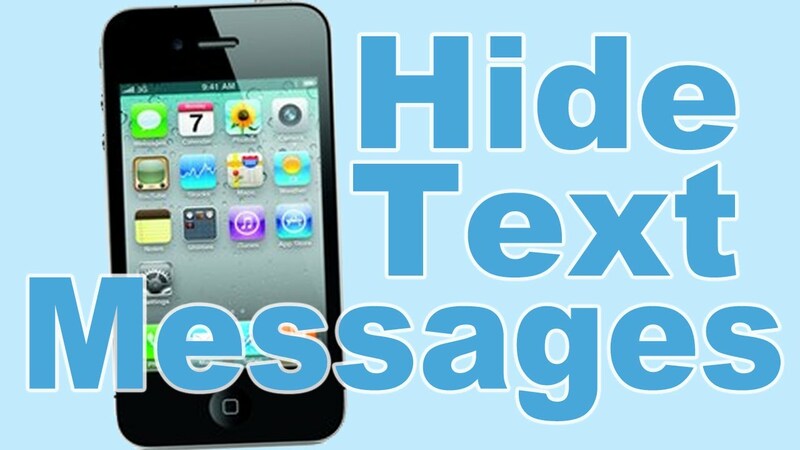 If you are facing any problem in hiding your message on iPhone please mention your problem in comment box. If you are facing any problem related to software in your iPhone, just mentioned in comment box, we will help you surely. Thanks. This entry was posted in Best iPhone Tips and tagged How do you hide your Message on iPhone 7, How to hide iMessage on iPhone 7 without deleting, How to hide message on iPhone 6 plus, How to hide message on iPhone 6 without deleting, How to hide message on iPhone 7 lock screen, How to hide message on iPhone 7 without deleting, How to hide message on iPhone 8, How to hide message on iPhone lock screen, How to hide message on iPhone without deleting, How to hide message on iPhone X, How to hide text message on iPhone from girlfriend, How to make text message private on November 27, 2017 by Shubham Pandey.